Fits virtually all 11-to-17 inch laptop computers. 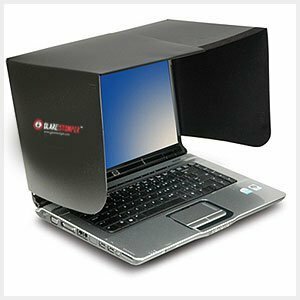 Remains attached to the back of the lid and allows you to open and close your laptop while the visor/hood remains attached. Unknown Travel Tips You Should Take Advantage Of!